New York Giants: How Should The Offensive Line Be Approached? Home New York Giants New York Giants: How Should The Offensive Line Be Approached? 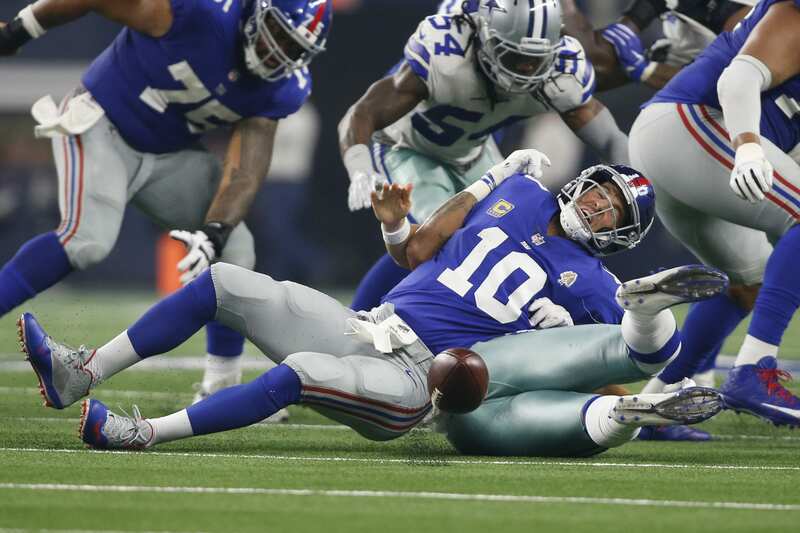 After witnessing the New York Giants‘ offensive line endure a heavy dosage of stunts and blitzes against an average Dallas Cowboys defensive front, it was apparent that something needed to be changed. A season ending injury to center Jon Halapio wasn’t exactly what I had in mind, but it might open the doors to trying different combinations on the line. Reserve lineman John Greco will be filling in for Halapio, according to head coach Pat Shurmur. Greco has always been an offensive guard, but being a reserve requires diversity and the ability to fill any role. The former Brown will be at center for now, but I wouldn’t be surprised to see Spencer Pulley, a player who started in all 16 games last year, take over so that Greco can be moved to right guard. The Giants signed guard Patrick Omameh to a five-year, $15 million deal over the offseason. This move was made to offer some solidity to the right side of the line, where Ereck Flowers is now featuring. So far, the right side has been abysmal. Minimal communication, missed assignments, and a lack of recognition only scratches the surface of the present issues. An alternative method to fixing the line would be to bring in new players to compete. This has a low probability of success, but the current state of the line can’t get much worse…can it? With the Giants waiving full-back Shane Smith and placing Halapio on IR, one spot on the roster remains after the signing of FB Elijaah Penny. Giants fans might be familiar with Beatty, who formerly played for Big Blue and won Super Bowl 52 as a member of the Eagles last season. These options wouldn’t be able to make a difference right away, but I feel as though it would be worth a try given the inadequacies on the line.